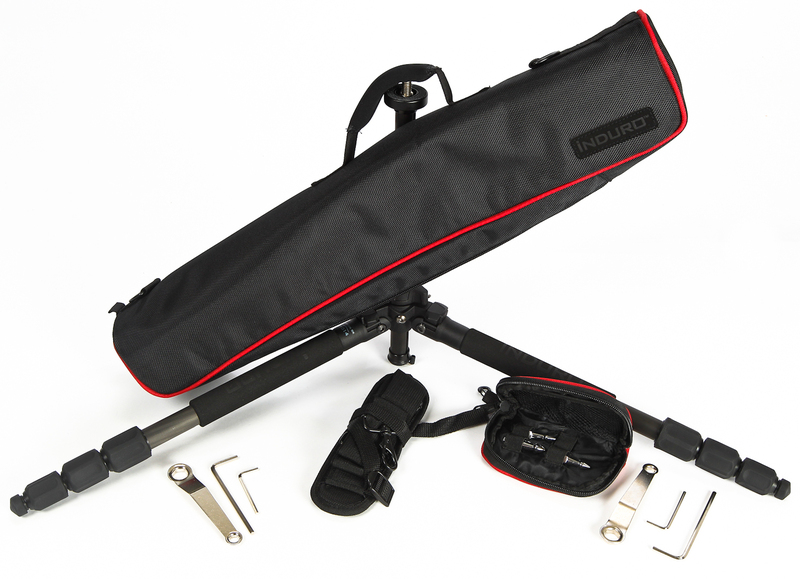 After my Gitzo GT1541 article was released, one of my blog readers (Mark Olwick) suggested that I should take a look at the Induro Carbon 8x CT014 tripod as a cheaper alternative. I was pretty happy with the GT1541 and convinced that I need to buy one, but it cost $700 (at the time this article was written) versus only $299 for the CT014. 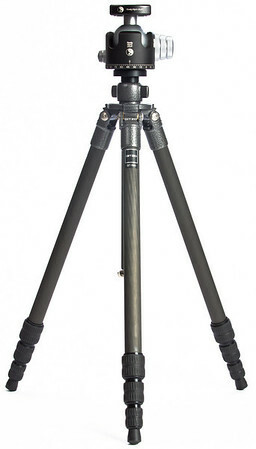 This got my attention as both art carbon fiber tripods with similar features, so would the Gitzo really be worth an extra $401? Read on to find out! I didn’t have both tripods in my possession at the same time, so I couldn’t do an exact side-by-side comparison, but I had the same amount of time where I used both regularly. I also had a lot of photos to reference (only a portion of which are online) to examine quality differences. So on the negative side, there’s a pretty substantial decrease in load capacity, maximum height, and minimum height. However, on the positive side the CT014 is shorter, lighter and includes optional spiked feet (which are a bit lame quality to be honest). Depending on your intended use of a tripod in this class, the differences in folded length and weight could be significant in importance (i.e., mountain climbers where every inch and ounce matters), but for me the load capacity and maximum height are serious negative draw backs as I shoot with heavy gear and I like my tripods to be able to do a minimum of 60 inches. Overall I was very impressed with the CT014 for including some decent accessories and overall feeling well made for this price point. 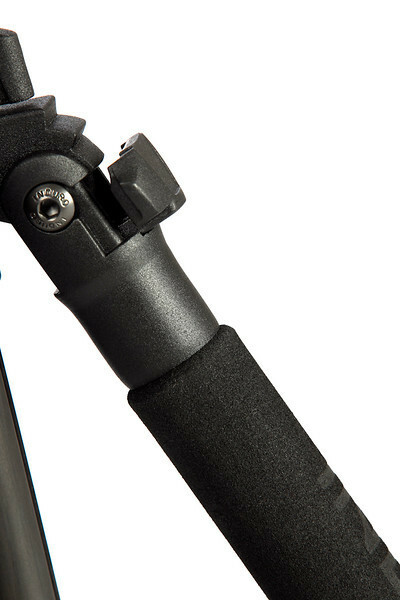 With the GT1541 you don’t really get any real extras that matter, but you can certain feel the higher build quality of the Gitzo. While the Induro is very nice, it’s no Gitzo in terms of quality. Sure they are both carbon fiber, and from that standpoint they feel the same, but everything else that makes a tripod feels more durable on the Gitzo. There’s definitely a lot more plastic* on the Induro, but about the same amount you’d find on a Bogen Manfrotto these days, so for those doing light duty travel and local usage it’s probably durable enough. 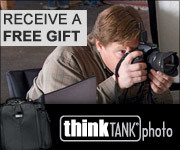 It certainly isn’t cheap junk like you see at most of the camera shops or kits that offer a free tripod with purchase. It’s also SIGNIFICANTLY cheaper than the Gitzo, so for many the cost savings probably warrants the lower build quality. * = I use the term plastic, but honestly I don’t know what the scientific name of the material is – it’s the same stuff that can break as shown in the photo below. Notice how the bottom clip is different from the top? I was happy to see that the CT014 uses a rotating mechanism like the Gitzo’s which should be more durable, and make opening and closing much faster. They are a bit bulky on Induro, so the Gitzo’s can operate faster (including locking and unlocking all three legs and 4 sections at once). However, the leg lock speed different isn’t much of an issue from me as I’m rarely rushing open my tripod that fast (although sometimes closing needs to be done in a hurry). I’d imagine that the leg lock functionality is good enough on the Induro for most and I think it’s well built enough that it should last for many years. 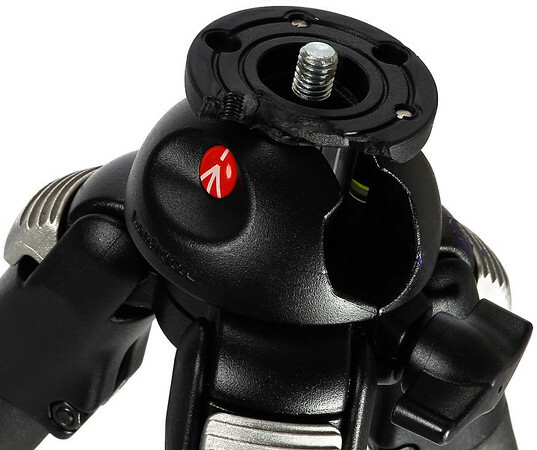 The leg angle lock mechanism on the Induro CT014 is functionally identical to most Gitzos. Hover over the image above and then mouse out to see how it locks and unlocks. It’s a three stage system found on most Gitzos. In actual field use, I found the Induro to work very well. The legs locked and unlocked very well and were sturdy (never had a slip). The counterweight hook on the bottom of the center column worked well and the size and weight were a pleasure to use in real-world travel (both local and extended). As mentioned earlier I thought the accessory pack spikes were crap and the whole kit is a bit of a joke, but it’s free so you can’t complain. The case is nice, but it’s a bit on the huge side so that was a bit disappointing. The reality is that I just stick my tripods on the outside of my Think Tank Photo bags, so the case is really only for home storage in my case. It’s a good looking case, so I’d definitely use it and am glad it was included. The minimum height problem was an issue, but can be easily resolved for $41 (at the time of this article was written0 so the real price differential between the products is $360 – which is still substantial. As you can see that even with this heavy equipment, and a heavy Really Right Stuff BH-55 head (the only head to buy in my opinion) the video was solid and vibration free. This was on a second floor balcony with people walking around, so even the slightest vibration through the legs would have showed up as significant shake in this video. There wasn’t any, so the CT014 did its job very well. I’m very impressed with this tripod. It’s very light, compact and works very well. It’s an excellent value for those who may lust for a Gitzo, but who simply can’t justify the expense. 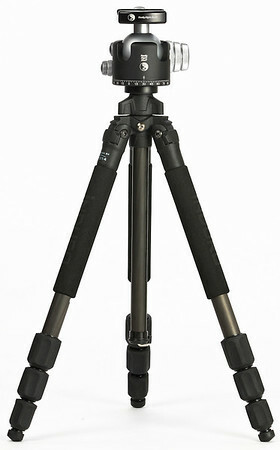 For those who fall into this category, I highly recommend this tripod. 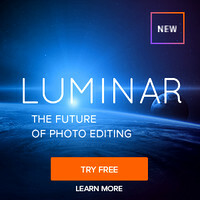 For those who have the extra funds available (i.e., pros who earn a living with their gear), I’d say the improved build quality, height, and load capacity (important with pro cameras) justifies the higher price. 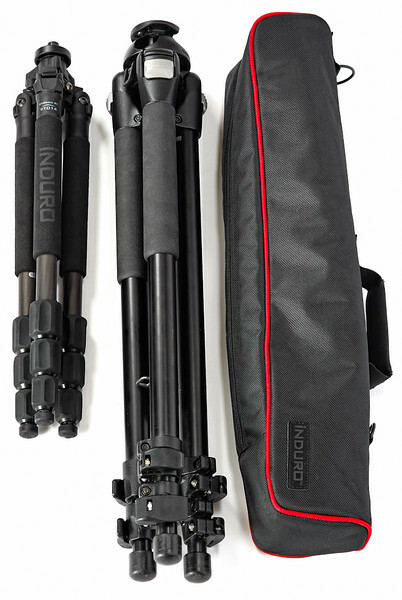 Now, one could easily argue you could buy two of these Induro tripods for less than the price of one, so just use one until it falls to bits and then buy another Induro at that point. Using this strategy you might be able to match the lifespan of the Gitzo GT1541, so this is a decision you will need to make when deciding if the quality differences don’t justify the higher Gitzo price. Click here to read my review of the Gitzo GT1541, or click here to learn more or purchase an Induro CT014 from B&H. To learn more about other tripods, I encourage you to check out my tripod recommendations article, and to learn more about Gitzo’s I encourage you to check out my Gitzo Primer. I had some heavy use of this tripod over the last week and noticed a couple new issues that I didn’t discover during my normal usage during the review. The first was that the legs were a little harder to lock securely than the Gitzo. They’d feel locked (i.e., pressure resistance), but under weight they’d drop. This happened about 5 times, so I felt it warranted a mention as I had this happen zero times with all the Gitzo tripods I reviewed. I also ended up with an issue where the Really Right Stuff BH-55 head seized up and wouldn’t move. It turns out that the mounting screw on this tripod was too high and was hitting the ball on the inside. I ended up damaging my ball head due to this issue, but using the tools included I was able to lower the head enough to avoid this problem moving forward. 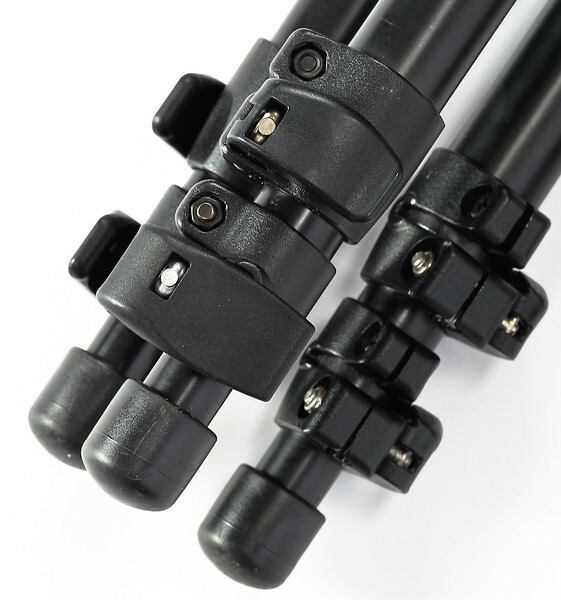 Again, the default height of all of my Gitzo heads was sufficient to avoid avoid this problem. 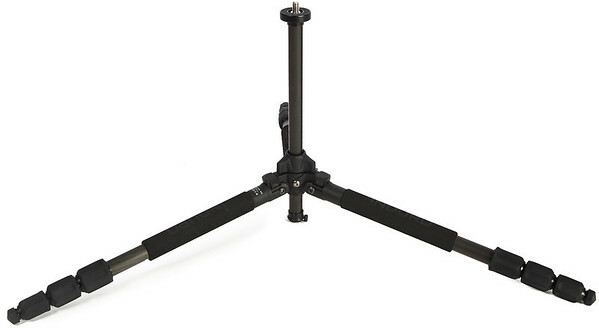 Due to the value and the fact that these both can be considered operator errors, I still recommend these tripod legs. However, these were enough to convince me that I definitely would prefer the Gitzo over this one. B&H has provided me with the tripods featured in this series on a loaner basis. I do not get to keep them and will be returning them back to B&H if I choose not to buy them. I will probably purchase one using my own money with no special discount from B&H or the maker. Gitzo and Induro had nothing to do with this article and as of this point and time I’ve never spoken to anyone from either company. The selections made from this article were purely based on popularity recommendations from a variety of sources. I make no guarantees of any type, but all products that I am considering to purchase for my own needs. I am simply sharing my shopping experience with you. If you purchase using the links in the article from B&H, I may get a commission. 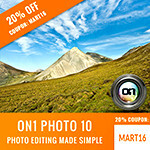 Thank you for supporting this blog by using my links when you make your purchase. The CT014 seems so much shorter than the GT1541 that I wouldn't put them in the same league. I handled a GT1541T and was disappointed in how much shorter it is than the GT1541 -- over seven inches, similar to the CT014. I recently read David Cardinal's blog entry about the Oben CT-3420 and it appears to be a more apt comparison. Oben is a B&H "house brand" and they don't seem to offer the 3420 without the companion ball head, but the ball head is not entirely different than (your favorite) the RRS BH-55 and much more in line with the price of the CT014 or CT-3420 products. Thanks for doing the review, Ron. To put the height thing into perspective, I'm 6 ft tall and have no problem looking straight on into my viewfinder with the CT014. I disagree wth all the Bogen Manfrotto comparisons having used both quite a bit. Induro is holding up MUCH better than those. For me, and the reason I recommend this tripod so highly, is precisely what I said in my initial recommendation to you: It's very sturdy, very lightweight, PLUS it can easily fit in your carry on bag. When traveling on small bush planes in Africa, with very strict weight limits, that's a MUST. For photographers like you that regularly use "mega-heavy glass" such as the mega telephotos, it's obviously not the tripod for that. But for the rest of us, it will definitely handle anything we can throw at it. I too got hung up in looking at stats and numbers - heck, we're numbers guys. 17 lb capacity must be better than 11 lb capacity, right? Well, not if your gear is nowhere close to that heavy it isn't. You'll just be lugging around the wrong tripod for the job. The BH-55 head is a beautiful piece of gear, but not really made for a trippod like this. There are other heads, such as the Markins Q3, that can handle non-mega lens loads easily and fit beautifully on this tripod, for example. It's all about the right tool for the job. For me, I'm constantly traveling and use what I'd consider "normal" gear. The heaviest thing I put on this tripod is a Canon 5D with a Canon 70-200 F2.8 IS II. It handles that easily. For autosports shooters like you with long glass, a larger Gitzo is definitely warranted. I guess the point I'm making is that it's not the most heavily spec'd gear that's best, it's the right gear that's best. 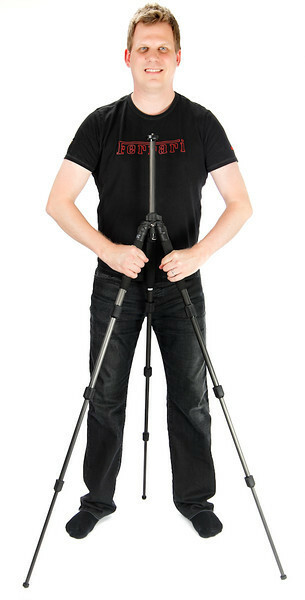 For me, that's this tripod. Thanks for taking my suggestion and doing the review. It's great to get another perspective! Thanks for the feedback Mark. I actually corrected the article for the leg locks as I agree I should have been more clear that those were from my BM legs. I agree with you that it's sufficient to handle a 70-200 f/2.8 with a pro body so it's stable enough for most peoples needs. The video I did was a good example. I do tend to have heavier gear and really for the heavier gear neither of these compact tripods are ideal. 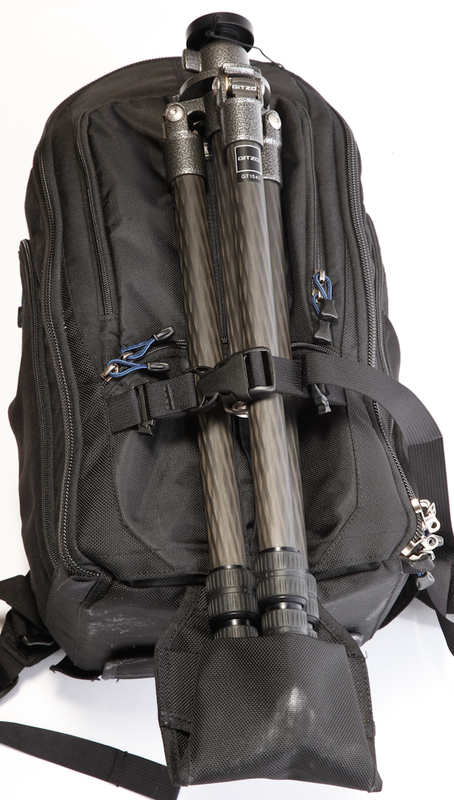 However, both are excellent choices for a nice portable tripod. Thanks for your suggestion - this was a good product to cover on the blog. Induro has a variety of tripods in the CT line. The CT114 is a much closer match to the Gitzo. As to the build quality of the plastics, I don't think the Manfrotto comparison is apt. As you point out, all plastics are not the same, and Induro's is significantly harder and less flexible than what's on Manfrotto or Giottos. The assumption of questionable durability is, I think, unfounded.